I buy most of my pants at Tucz outlet (not to be confused with Tulip) as I was able to get good quality pants with no zippers at reasonable prices. 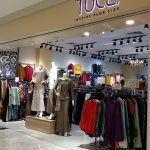 Recently I went to Tucz to purchase another set of pants and noticed they have started to sell a lot of Raya clothings for ladies (baju kurung, baju kebaya untuk wanita/ perempuan). 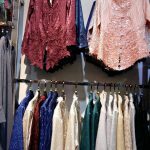 They also have the lace baju kebaya which I like and can be used to wear to official or company functions. 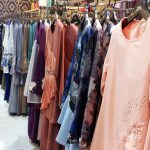 Of course, you can also get tailor made baju kurung, kebaya or baju kedah but nowadays with the availability of ready made attire, I find it easier to buy off the rack after trying and picking up a design that I like. Lot 1-13, First floor, Jaya Shopping Centre, Jalan Semangat, Seksyen 14, 46100 Petaling Jaya, Selangor. Tel: 03 79320630. 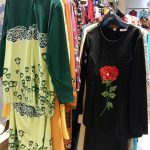 After purchasing, if you need to do alteration, for example for pants, you may visit Athi’s Boutique located on the same floor for the tailor to do alteration for you. For pants, it cost me RM10 to adjust the length of the pants. The company also have online shopping portal at their website. However, I personally prefer to try on the clothes before buying as the fit may differ according to the design and cutting. Sometimes clothes that look good online may not look good on us. Also, when we are buying via the shop, we are able to feel the fabric and try on for comfort. 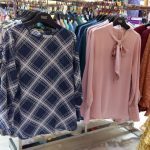 For me, I prefer clothings that are of comfortable fabric that require little or no ironing as well as does not feel sticky when you sweat hence by able to feel and try on the clothings, I would not end up buying something that I regret.